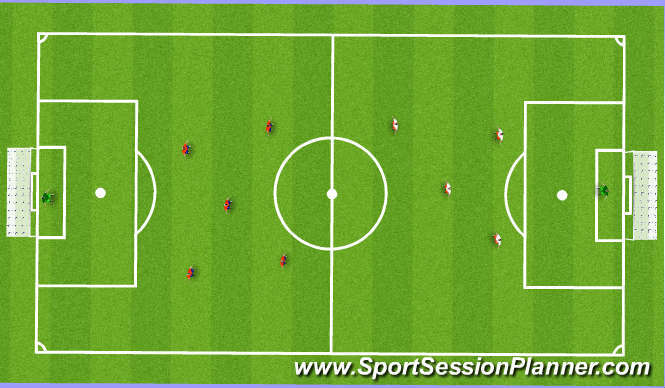 Red 1 plays into Red 2 and receives back on 1- 2 whilst running at full speed to Corner B. 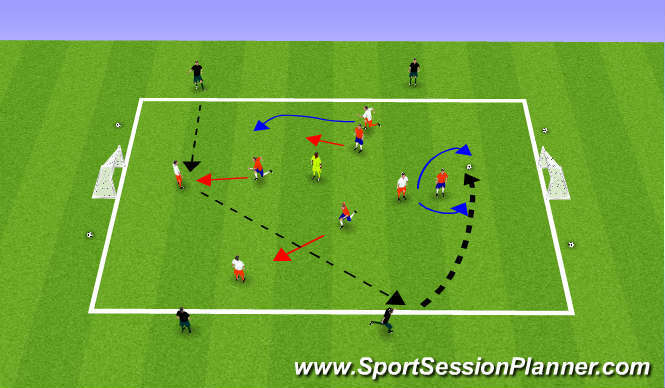 At Corner B player Red 1 will pass behind goal to Red 3 standing at Corner C,Once Red 2 has played pass he will spin and sprint to opposite goal to get on end of Red 3 cross who will play 1 - 2 w ith Red 2 before crossing. 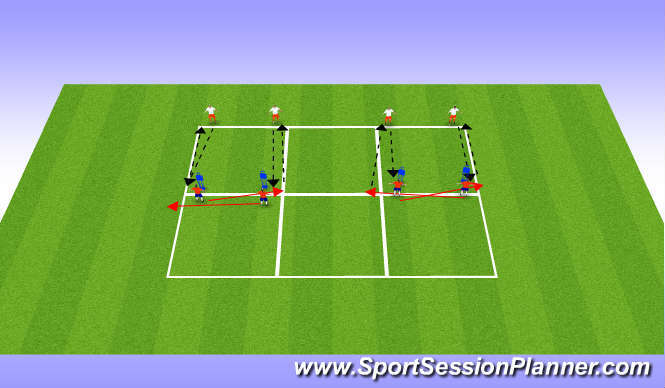 If players are waiting for final ball then add extra , diverted run via cone on half way line before getting on end of cross. Rotate 3 players around to ensure all experience different runs. Progress to Central Player (2) getting on end of cross as well. Switching Play with an Overload. Depending on numbers split the teams equally into 3 groups of 3/4/5 and if odd numbers use floaters. One team start on the outside as full backs/wingers and the other two in the middle. 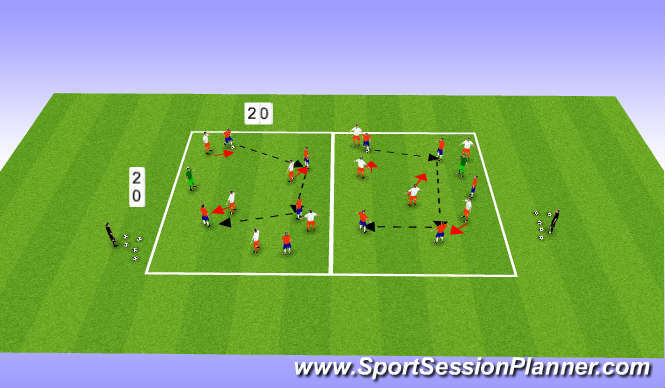 Players must pass the ball from one side to the other side before trying to score in either of the two goals. When in possession it becomes a 9v5. Keep changing teams every 3/4 minutes. Players need to communicate to try and get on the ball.